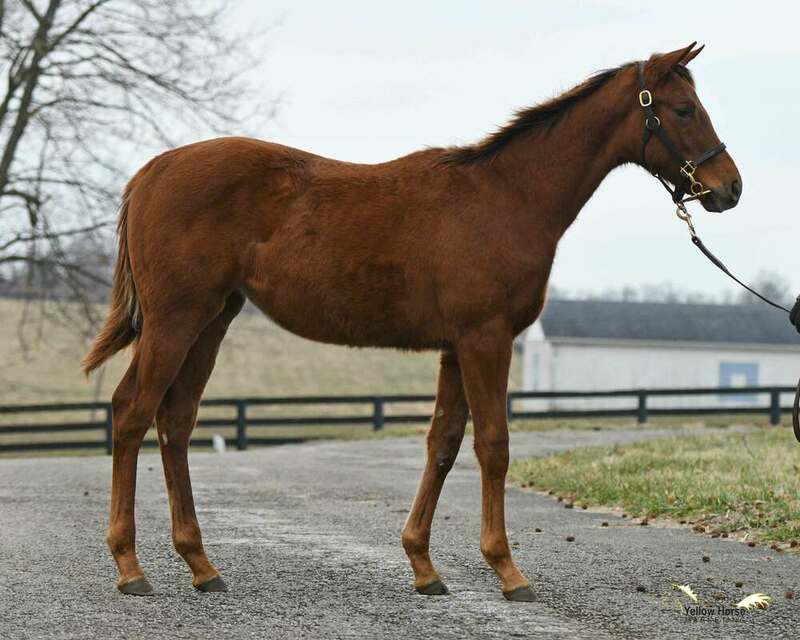 This elegant filly is by WinStar’s exciting young sire DAREDEVIL, America's fastest two-year-old colt in almost a decade. 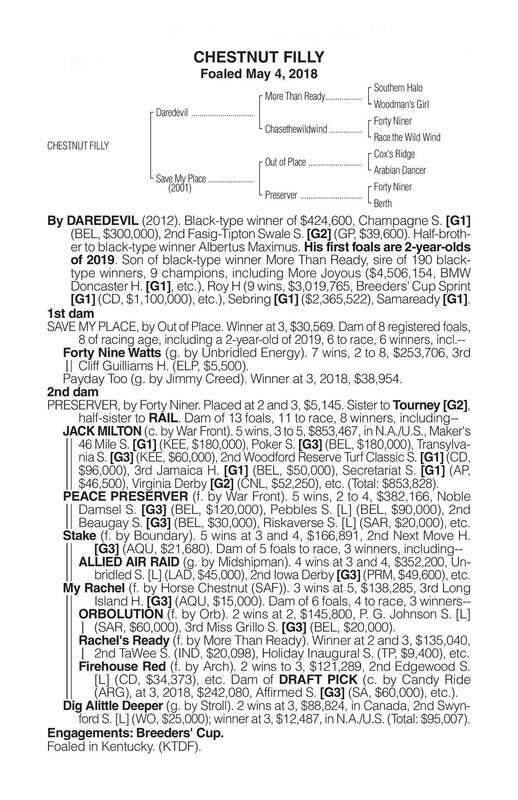 DAREDEVIL’s performance in the prestigious Champagne Stakes (G1) was historic in many ways, primarily through his titanic 107 Beyer speed figure - the fastest Champagne Beyer in over 20 years. It also marks the fastest juvenile Beyer at the popular distance of one mile over that same time span, and no 2-year-old colt has been faster in any race since UNCLE MOand THE FACTORhalf a dozen years ago. DAREDEVIL is quite simply the fastest juvenile ever by emerging sire of sires MORE THAN READY, who is renowned for his prowess with champion juveniles around the globe, among both sons and daughters and grandsons and granddaughters. 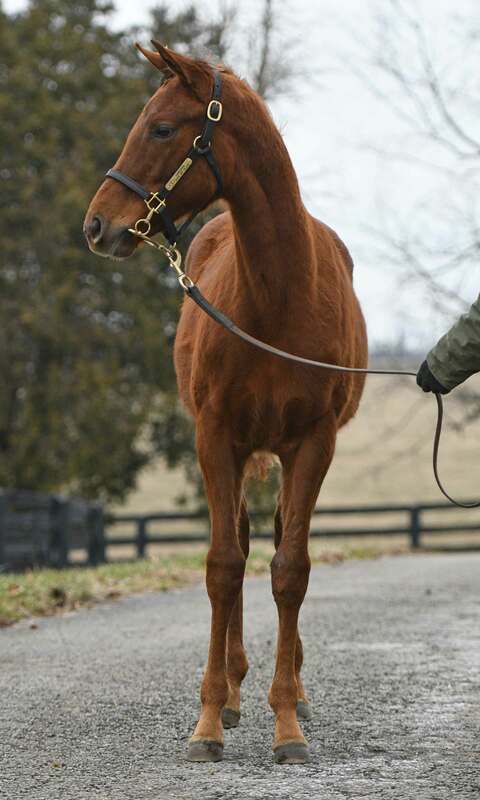 DAREDEVIL’s first weanlings sold for $150k, $140k, $130k, etc. at Keeneland November 2017 for a $78,571 average, including six for more than $100k to make him the most among freshman sires standing under $25k. Last year, his first yearlings commanded $230k, $150k, $100k, and $100k and now his first two-year-olds will hit the track this year. 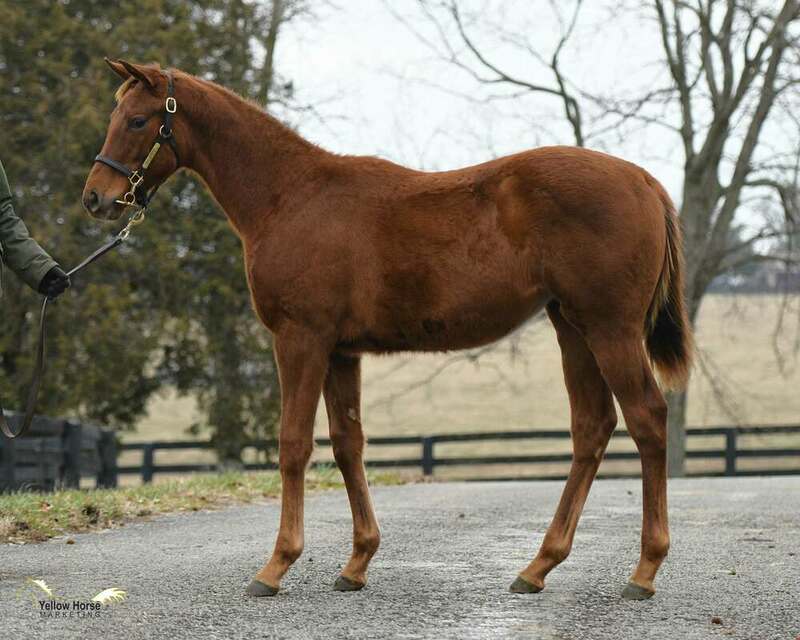 This filly is out of the proven producer SAVE MY PLACE, the dam of six winners from six to race, including stakes-placed Forty Nine Watts. And heaven help us, no wonder she’s proven herself – just look at the FORTY NINERsecond dam: dam of JACK MILTON(G1, sire), PEACE PRESERVER(G3), Stake(G3 placed and G3 producer), My Rachel(G3 placed and producer of three more stakes horses, including two G3 runners)…do we even need to continue?